MODEL MRT-80-L MEDUIM 187 LBS. FOOT SIZE: 11 1/2" BY 14" LONG. 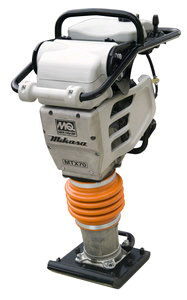 * Please call us for any questions on our compactor rammer rentals in Corona, Norco & Inland Empire area.